ISLAMABAD, NOV 27 (DNA) – The Serena Hotels 33rd President of Pakistan Gold Medal Golf Championship 2018 came to close after three days of thrilling matches at the Islamabad Club Golf Course. More than twenty professionals and more than fifty amateurs competed in the Championship from across Pakistan. Muhammad Adil won first prize in Juniors Category A net and Naveed Khan in gross matches. In Juniors Category B, Muhammad Ibrahim came first in net and Irtaza Hussain in gross matches. In Subsidiaries, Mustafa Raja came first in net and Dr. Manzoor in the gross matches. In senior amateurs, Zahid Afridi came first in net and Gulrez Shahid came first in the gross matches. In the ladies category, Salza Dur-e-Falak came first in net and Ania Farooq came first in the gross matches. Within the Amateurs category, Shymale Aziz came first in net and Zuhaib Asif in gross. Asad Khan, Muhammad Akram and Muhammad Shabbir won the junior professionals, senior professionals and professionals categories respectively. 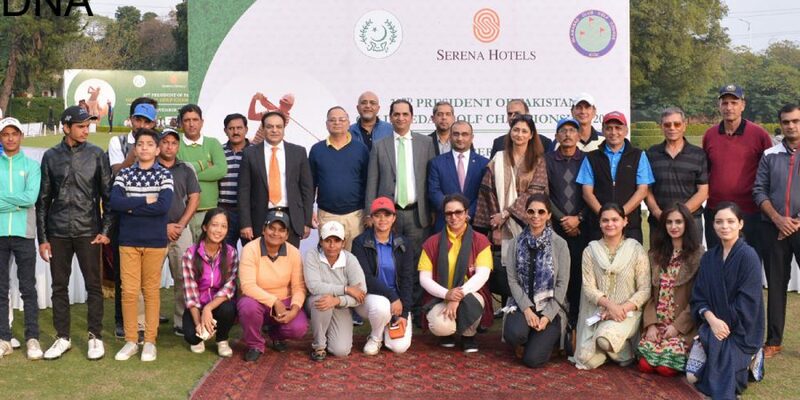 Mr. Aziz Boolani, CEO Serena Hotels, said, “I would like to congratulate the winners of the 33rd President of Pakistan Gold Medal Golf Championship 2018. We encourage sports as it provides a platform to our communities and friends to participate in healthy activities that establish links with other professionals and peers. This is an opportunity to develop friendships and demonstrate our abilities and interests in different sports. Mr. Jawad Paul, President of the Islamabad Club Golf Course, said “I thank you all on behalf of the management of the ICGC on making this Championship a resounding success and congratulate all the winners. Golf is a game which is not just about winning but my commiserations with those who did not win and let us all keep trying and I wish you all good luck. 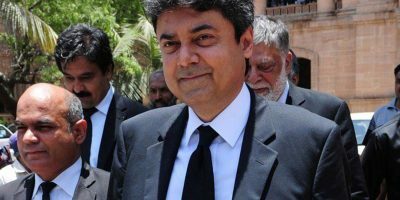 He added, “This could not be possible without the support of our patron, the President of the Islamic Republic of Pakistan, who has committed to attending the prize distribution ceremony in the near future. I would also like to record my appreciation generous assistance and support of the management of Serena Hotels led by their dynamic CEO, Mr. Aziz Boolani, who are the sponsors of this tournament”. The Serena Sports Diplomacy Initiative encourages and promotes healthy activities through interaction amongst various segments of the society to enhance social wellbeing and cultural development.